Stay up to date with the latest news, developments and events happening at Telehop. 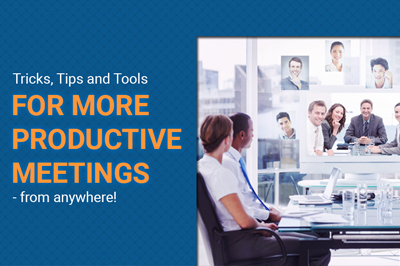 Tricks, Tips and Tools for more productive meetings from anywhere. With not so friendly and gusty weather during this time of the year, it’s completely reasonable how it can make you want to stay all bundled up and work on your laptop remotely from bed. 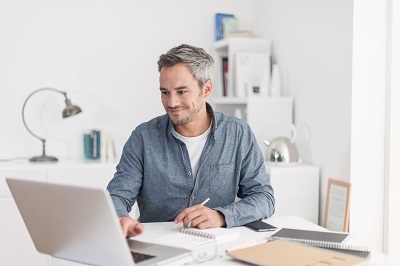 But if you are working remotely due to the bad weather or in that case due to any of the unavoidable reasons, it becomes very essential to keep up to your daily work routine and maintain productivity as the work must still go on. With the Christmas around the corner, we look forward that you have a fantabulous and prosperous new year. Though we have these season of holidays, we know you’re already thinking of the next business year we are sure we can be of a good help to you and be a helping hand in your next year’s business resolution. With the call recording software being an excellent investment for businesses of every shape and size – we urge to add call recording software to your list. 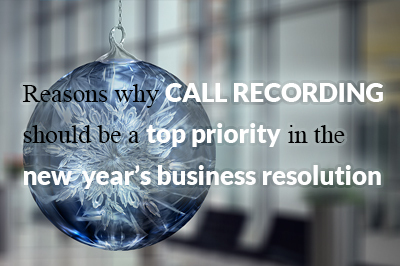 Take a moment, if you will, and familiarise yourself with the benefits your business could be reaping with the call recording software. 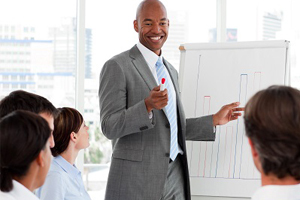 Communication is an imperative aspect of almost every business be it a small and medium business or a well-established multi-national organization. Voice is one of the key modes of any communication system as it helps in creating a direct conversation between two parties. In this world of advanced technology, and today’s fast faced business set-up, there are numerous ways for businesses to communicate effectively. 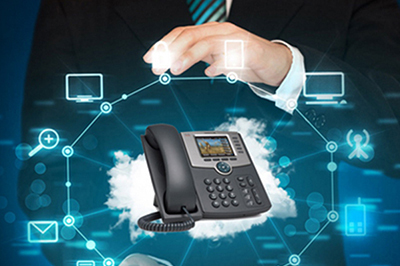 Since IP has the potential to take voice communication to the subsequent level, VoIP phone system has emerged as the most preferred means of communication. For every business, the major point of concern is the ROI it gets out of the business and the profit that it makes. With every investment a business makes, the first thing that will be thought of is that the investment made will offer significant benefits. It’s no different for Call Recording Software as well. It is an outstanding outlay for businesses of every shape and size – particularly those just starting out. There’s a good possibility that you’ve heard all about call recording software before, but you may not know how it could help your business, or be aware of its many uses. 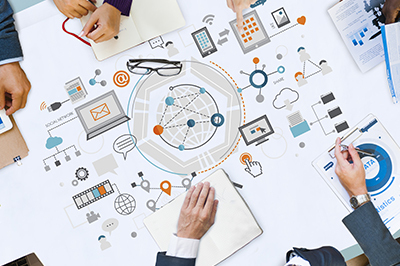 The dynamics of communication are rapidly changing and becoming far more diverse across enterprises. The days where employees have only a fixed-line desk phone at work are long gone. 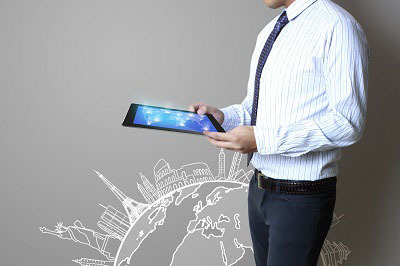 Today, enterprises have employees who work remotely with flexible work arrangements or who are always mobile. 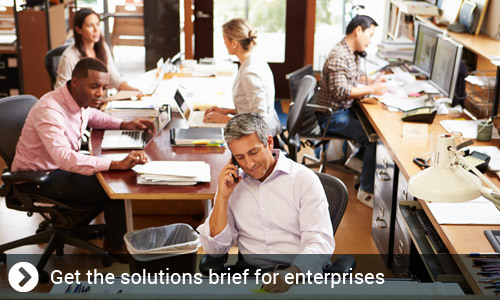 Enterprise mobility opens the door for multitudes of unsecured devices accessing business ecosystems creating the demand to have feature rich, more powerful communication tools. 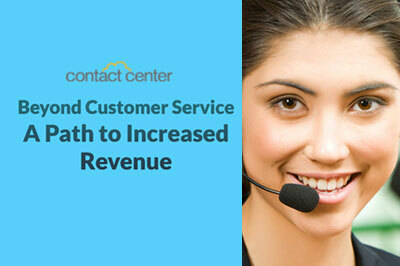 Technology plays a crucial role in the call center’s ability to advance customer service. Moreover, along with ensuring enhanced customer service, it also becomes important for organizations to deliver next-generation customer experience without creating any extra burden on the cost aspect. Announcing the winner for our LinkedIn Contest! We want to express our gratitude to each one of you who actively participated in our ‘Follow us on LinkedIn, for a chance to win’ contest. 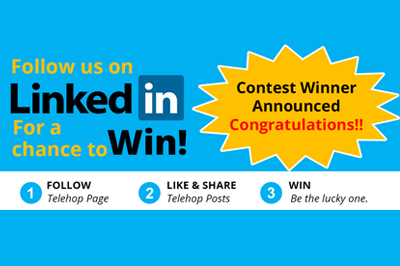 The contest was all about following our company page on LinkedIn, Like & share our posts and be the lucky one to win. We received an overwhelming response for the contest and would like to thank you for helping to make it a success! 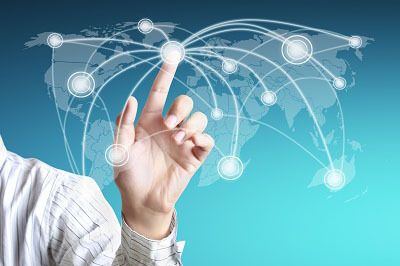 Technological advancements and increase in the usage of various innovative services over different networks is driving global VoIP services and digitization market growth. 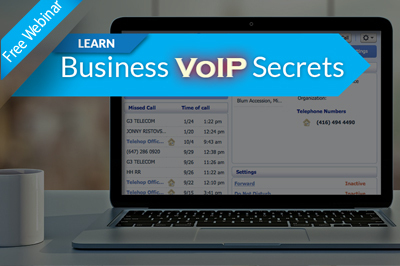 Today, businesses are getting attracted to business VoIP because of its known benefits. Beyond telephony, the tendency among enterprises and SMBs is towards adopting integrated offerings such as unified communications platforms making it a key factor for the next-gen services launch. 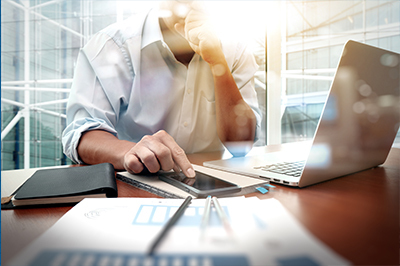 How to receive maximum ROI for your hosted PBX investment? 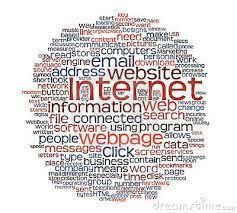 Telecommunications has brought a complete transformation in the way we communicate on a personal and professional way. 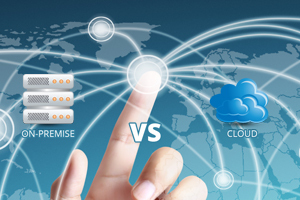 Moreover, with the industry growing to the next level, cloud based services seems to be all the rage these days and have made life even more virtual and easier. Since so many companies require their employees to be on the go these days, alternative work arrangements are often required. Some work in the office, some are in the field, and some do both. Effective communication is more important than ever in business, so small and medium businesses can struggle to find a system that meets their financial and personnel requirements. Life can become extremely frustrating when your WiFi connection is outrageously slow or has spotty coverage in your location. This is especially the case if you are making an important call, searching for essential information on the web, or, let’s face it, using your phone in any way. 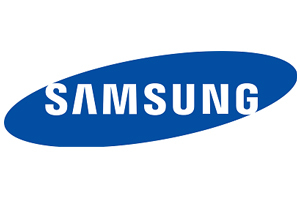 Do Samsung Devices Have Better WiFi? 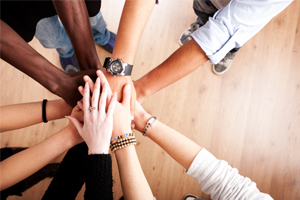 It is exciting to establish your own businesses and many startups possess a unique vitality. Everyone is there because a creative idea has led to genuine possibilities for the creation and marketing of a new product or service that could prove revolutionary. Imagine you could surf how you want, for as long as you want, without ever worrying about your usage. There’s more to do online than ever before, but you can’t enjoy it if you’re tied down by caps and restrictions. 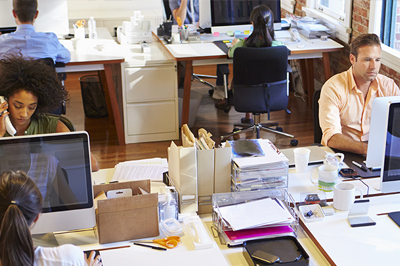 Remote offices are becoming increasingly popular given the evolving nature of work environments. More people are working from home, in more than one company office, while travelling, et cetera. Every great invention has a great story behind it - from the first messages between laboratories at UCLA and the Stanford Research Institute, to millions of cat videos on YouTube, the evolution of the Internet is no different. There is an old cliche that says " you can't know where you are going until you know where you have been". Telehop was established in 1993 and is closing in on 25 years in business.